Pep Guardiola to lose first game in 16, Roy Hodgson’s lucky charm comes to an end as Arsenal prepare for a sixth loss. According to opta stats, Manchester United are unbeaten in 40 matches at the Old Trafford and are eight points behind City who are at the top of the standings and yet to lose a game. City started the season high, winning 13-consecutive matches but there has been a notable dip in recent weeks, losing their first game in all competitions to Shakhtar in the Champions League. They have been struggling to match the pace of their opponents especially in two of their last three league matches where they needed late Sterling winners. Jose Mourinho knows only a win can keep his hopes to the Championship alive. 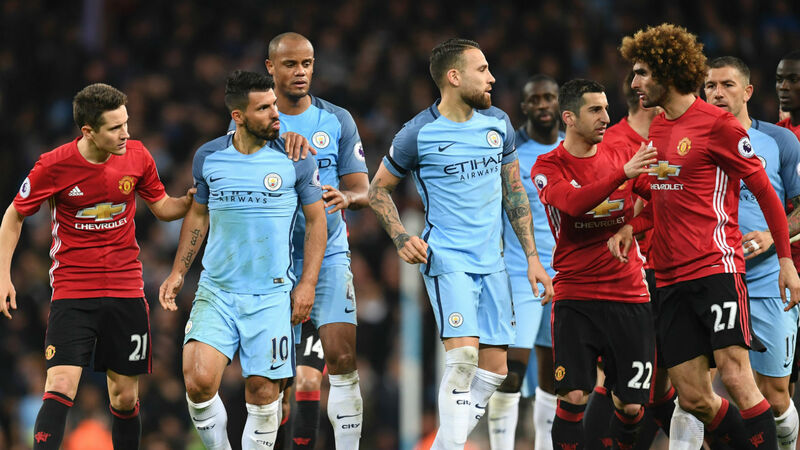 Winning only one in six meetings, United will edge City because of fresher legs from the return of Marcos Rojo, Ibrahimovic and Luke Shaw. Real Madrid, Valencia and FC Barcelona to falter as Atletico Madrid continue gaining momentum. Zinedine Zidane could be up for more trouble in la liga as his side prepare for match day 15. The Bernabeu sidedrew 0-0 with Athletic Bilbao last week and did not convincingly win against Borussia Dortmund in mid-week. At home, Madrid have won their last four matches, conceding in just one of those contests, buthave collected only 14 points out of a possible21. Sevilla have been improving of late in the league and are not strangers to good performances away from home having nine points, just five short of Real’s home record this season. Sevilla are unbeaten in their last six games,winning just one of their last five away matches but given the many injuries and suspensions, something bad is up for losBlancos.